ARE YOU A IPHONE SOFTWARE DEVELOPER? Imagine doing things the easy way!!! This is what happens when doctors design software for doctors. A simple application that will save you time and increase coding and billing accuracy. Captures charges (procedure and diagnosis) at the hospital bed with your iPhone or an Internet enabled computer. 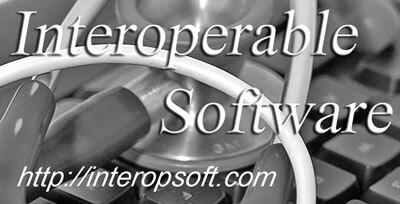 Integrates will with major software. Stores encrypted information on the web available for billing in your office immediately. Patented novel encryption keeps data safe. AJAX fast. SHIFTS (see screenshot) enables nephrologists to capture G codes (soon to change to CPT codes) at the point of care in the dialysis units. Works with any Internet based computer. Information is encrypted and stored on the web. Ready for billing immediately. Smart program calculates code based upon number of times seen. Also works with guest patients and pediatric patients. Helps large practices with multiple doctors go to multiple sites. Can integrate with existing office software. Take a nephrologist who wants these values for his practice, combine top software engineering talent – and you will end up with a host of products that are designed to fit this vision. Now you can simply check when you see a dialysis patient, and SHIFTS, does the rest – time stamps the note, calculates the G-code, lets your colleagues and billing team know. What is even more exciting is that SHIFTS can keep track of hospital patients, allowing you to send patient-specific comments back and forth, handle guest, home and pediatric patients. But, that’s not all. SHIFTS can also serve as a database – keeping track of primary care/referring physicians, vascular surgeons, preferred hospitals and health plans. You can sort by first date of dialysis, birthdate, zip code. Your marketing analysis team will also love SHIFTS. Import and export files using standard database formats available through Microsoft Office. SHIFTS is created with a patented HIPAA safe encryption algorithm. It allows your billing team to close the program each month for billing purposes, but keep an archive always available, so that to the doctors, data is always seamless. SHIFTS - when doctors design the software for doctors. How many digital health startups will fail? Is your hospital really paperless? Will CHIOs become more common? Are pre-existing markers of chronic kidney disease associated with short-term mortality following acute community-acquired pneumonia and sepsis? A cohort study among older people with diabetes using electronic health records.